How can I tell if I am using a Microsoft Exchange Server account? 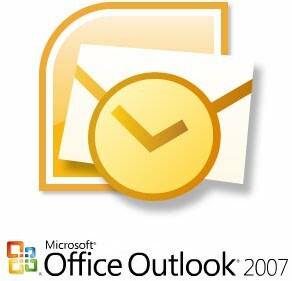 You can set up Outlook 2010 to send an automatic response to some or all of the people who send you email messages. You can combine an Outlook email template with Outlook rules to reproduce the functionality of the Automatic Replies feature that is available only to Exchange Server accounts. IMPORTANT This functionality is available in Outlook 2010 beginning with Microsoft Office 2010 Service Pack 1. TIP Download a formal or informal out of office message template from Microsoft Office.com. In the message body, type the message that you want to send as your automated reply. In the message window, click the File tab, and then click Save As. In the Save As dialog box, in the Save as type list, click Outlook Template (*.oft). In the File name box, type a name for your message template, and then click Save. On the Home tab, in the Move group, click Rules, and then click Manage Rules & Alerts. Under Start from a blank rule, click Apply rules on messages I receive, and then click Next. Under Which condition(s) do you want to check?, select any criteria that you want, and then click Next. Typically, you don’t need to select any items. In the Select a Reply Template dialog box, in the Look In box, click User Templates in File System. Select the template that you created in the previous section or one that you have created or downloaded, and then click Open. Select the check boxes for any exceptions to the auto-reply rule. It is common not to add any exceptions. IMPORTANT For the Rules Wizard to send a reply automatically, Outlook must be running and configured to check periodically for new messages. The reply using a specific template rule in the Rules Wizard sends your automated reply only one time to each sender during a single session. A session is every time that you start Outlook until you exit the application. This rule prevents Outlook from sending repetitive replies to a single sender from whom you receive multiple messages. During a session, Outlook keeps track of the list of users to whom it has responded. If you exit and then restart Outlook, it is considered a new session and the list of the senders who have received automated replies is reset. TIP Consider creating an Outlook task or to-do reminder to help you remember to turn off this rule when you want to stop sending automatic replies. On the E-mail Rules tab, under Rule, clear the check box for the rule that you want to turn off.